The latest film from Dan Fogelman, best known as the creator of the hit TV show This Is Us, Life Itself is a film that has inspired a myriad of reactions since it premiered at TIFF. I spoke to a lot of people at the festival who loved the film, but most critics have mocked it mercilessly. I was somewhere in the middle. I get the appeal of this drama, but I also see the problems with it. 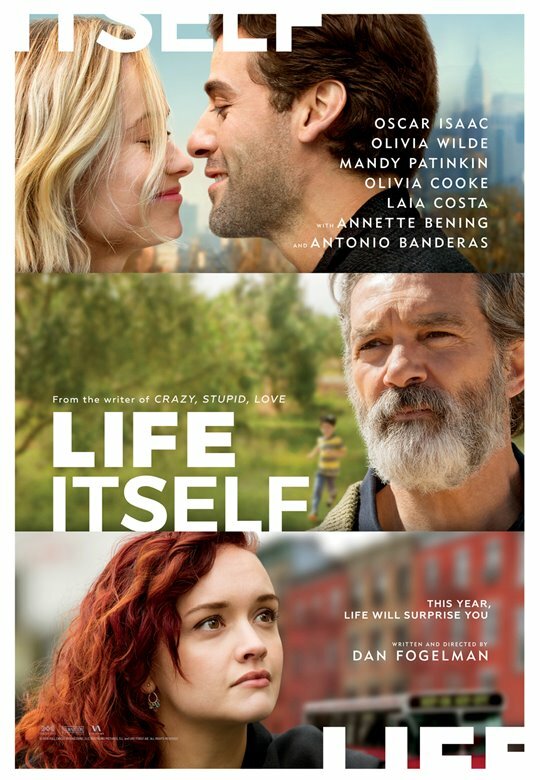 The film follows a collection of characters who are all connected in various ways, with the through line being Will (Oscar Isaac) and Abby (Olivia Wilde), a New York couple who are expecting their first child. The all-star cast also includes plum roles for Olivia Cooke, Mandy Patinkon, Annette Bening and Antonio Banderas, among others. I got to see Life Itself at a special screening prior to TIFF, and it actually took me a while to really make up my mind on what I even thought about it. I mean, on the one hand, the film is so nakedly melodramatic, and some of the choices that it makes are so baffling, that it’s almost fascinating to watch. The sheer amount of clichés and contrived plot points that Fogelman is able to work into the jam-packed two hour running time, while tying it all together through a ton of voiceover narration and pseudo-philosophical monologues, is almost impressive. It’s designed to tug on your heartstrings at every chance it gets, and is the sort of film that will leave you either cringing or sobbing, as evidenced by some of the reactions around me in the theatre. All I can say is that I was somewhere in the middle, and even if Life Itself is a creative misfire, it’s still a somewhat interesting one to watch unfold. So in other words, it’s this year’s Collateral Beauty, and I actually kind of mean that as a compliment.